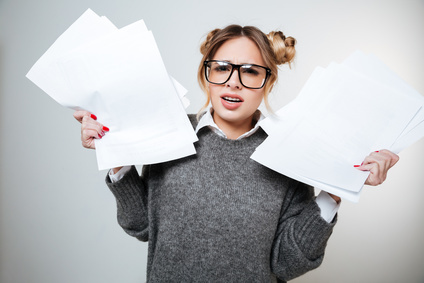 HR paperwork – a necessary evil! In this Blast, we look at some of the essential HR paperwork you need in place when it comes to performance managing staff, investigating grievances or acts of misconduct, making redundancies or other dismissals, and of course, on-boarding new employees. HR paperwork: contracts of Employment /contracts for Service/Directors Service Agreements/Offer letters/invite to investigation/invite to hearing/hearing outcome/invite to appeal/invite to consultation meeting/notes of meetings/dismissal letters/performance review forms/change of business owner (TUPE) etc. We write many of our HR Blasts with a warped intention to put ourselves out of business! Follow our advice and you will in future probably be bringing only the most complex of issues to us to support with! We write this Blast today as so many ‘problems’ with staff simply would not work their way through to the Jaluch Advice Centre if you get the paperwork right and issued promptly. Not issuing a letter that needs to be issued when it needs to be issued. Not checking your very important letter was actually signed for and read by your ex or absent employee. Incorrect information in a letter, incorrect addresses put on letters. Handwritten meeting notes not saved to file or typed up rendering them all but useless if your employee brings a Tribunal claim. An insecure filing system meaning that confidential data is compromised. An inadequate filing system meaning that you cannot retrieve essential documents or managers simply not giving HR key information to be filed in the first place. Not understanding why certain phrases or words are used in certain letters and deleting them out, when in fact they need to be left in. Incorrect or unhelpful tone of a letter or document (the tone can make all the difference between an intact relationship and a defunct relationship so don’t underestimate the importance of this). Insufficient detail included in performance review paperwork rendering it useless as a performance management tool. Managers not then managing in line with the detail of the contract (especially the case with Contracts for Services where your workers are NOT employees) or in accordance with what was set out in the letter (e.g. not providing a written outcome to an appeal in line with the timescales set out in their last letter). An essential part of getting the HR paperwork right is, of course, having the right documents and letters to use. A few years ago this would have cost you thousands of pounds. Now you can get a full suite of template documents from sites such as www.docswizard.co.uk for a fraction of the price. These can be tailored and licensed to corporates wanting to create a bank of internal documents for HR and managers so please do get in touch. Laziness is the root cause of many mistakes … double check names, addresses, job titles, key dates, that attachments are actually attached, that you have tailored the letter to be relevant to this particular person and that the letter finishes in a way that will create a tone consistent with the culture of your business … even if you are ‘sacking’ someone you can do that in a way that indicates professional courtesy rather than callous indifference. Lack of knowledge also causes a fair few errors and problems. If you don’t know what a phrase means don’t just delete it, find out what it means and why it has been included in the template. If you have bought your template documents from www.docswizard.co.uk you can use web chat for quick queries or buy up to 40 minutes of advice time so that you can speak to a real person when you have a query about specific wording or legal clauses. If you have asked managers to take on some more traditional HR tasks such as hearing grievances/ holding redundancy consultation meetings/issuing letters/contracts etc then give them some essential training in employment law … we promise that will be money well spent as we have evidence in Jaluch across decades that our clients who invest in employment law training for their managers not only find their managers confidence is significantly raised, but that in turn, issues are then addressed more quickly and more effectively than previously – all resulting in a huge decrease in the number of HR issues being escalated to our advice line. Read our top tips on using template documents. What cost if you mess up the HR paperwork? Does it really matter if an address is wrong or if you don’t issue a TUPE letter when a business changes hands? Your paperwork forms a key part of your defence. If an employee brings a Tribunal Claim against you. Failure to issue a contract of employment within 8 weeks for example could cost you a maximum of 4 weeks’ pay per employee. Failure to produce the paperwork to show you have consulted during a TUPE (transfer of a business) transfer could cost you 13 weeks’ gross pay per employee. If an employee drifted off after long term absence and you never send a letter to them ending the relationship they are still employed by you and accruing holiday and other rights – you need to send a letter formally dismissing them. Your paperwork says a lot about the culture and professionalism of your organisation. In times of tight recruitment, you need to be the organisation that people want to apply to, not the one that has been plastered all over the local press for the shambolic approach you have to the staff you employ. Your paperwork needs to be consistent with the culture and tone set within the business… if you aim for quality, professionalism, respect, integrity then getting the paperwork is key. Your paperwork is the key to efficiency within your business. Time management, professional behaviours, expenses management, staff who know what they are doing, when they are expected to do it and how that all impacts the bottom line of your business creates an overall efficiency in business. If high productivity, low absence levels, high retention, minimal errors, great customer service etc are important to you then the paperwork all helps with this. It often creates a fantastic framework within which managers can manage so that they can deliver what the business needs. New managers/new HR – do they know how to use the HR paperwork you have and are they committed to it in the way you are? Rogue managers or HR staff who are administratively disorganised resulting in neglect of the essential HR paperwork and exposing your business. Something new or different – if you have never handled a TUPE transfer or redundancy exercise before then its easy to not issue essential paperwork simply because you don’t know what needs to be issued. So ask! Assume there will be paperwork rather than assume there isn’t! An uplift in the number of grievances raised or tribunal claims brought. Is it the tone of the paperwork that is escalating conflict? Perhaps a lack of paperwork is creating some of the conflict and dissatisfaction? Look for themes and see if you can find the root cause. If you haven’t reviewed your letters, documents, policies, procedures etc. for a year or more are you being a bit complacent? Not only does the law change from time to time but how you need to manage your staff also changes – different market expectation, tighter recruitment market, removal of tribunal fees, new business ownership etc. All these things should drive you to regularly review your paperwork to make sure it continues to be fit for purpose. (Jaluch can support with an audit or full review/redrafting of docs and can turn it all around in just 2 weeks). You might be interested in a few of our other HR Blasts, you can read them here and sign up to our mailing list to receive future updates. Our most popular blasts are on dismissing short service employees and five fair reasons for dismissal. Small enough to care, large enough to support! If you are securing your business for the future by making some redundancies across the coming months, Jaluch is able to provide resource to support with creating the paperwork, training staff (employee forum) representatives, holding consultation meetings, note takers in meetings, holding appeals, investigating grievances raised and of course with outplacement training such as with CV writing and interview skills for those selected to leave the business. We offer a professional, personal and friendly service which we like to think makes all the difference during difficult times. Equally if you are selling your business or acquiring another, Jaluch can support with TUPE training for staff representatives or managers, consultation meetings, paperwork and the challenge of culture integration. Why not get in touch?